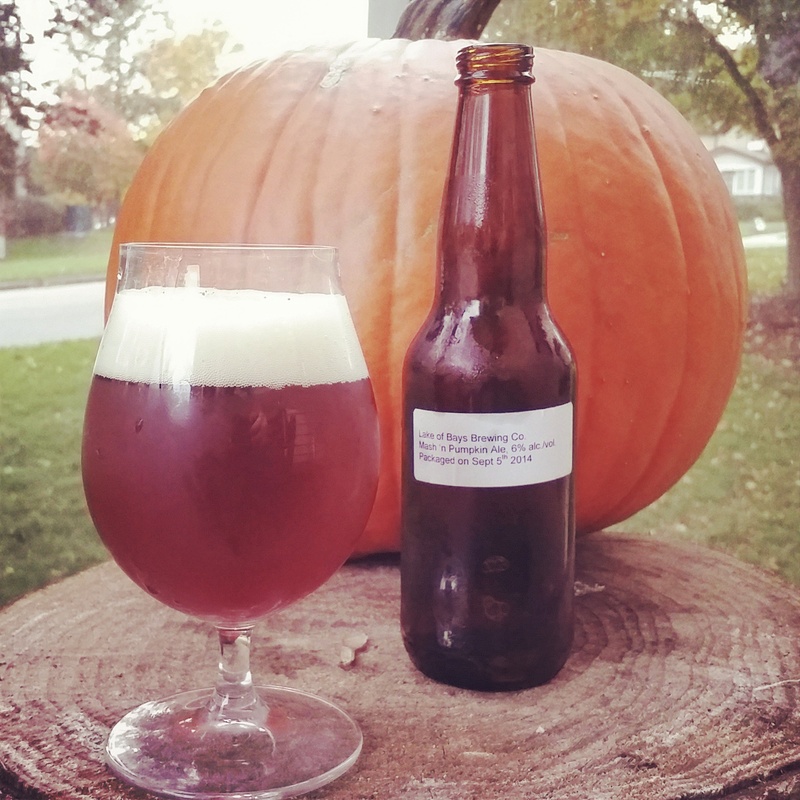 MASH’N PUMPKIN ALE BY LAKE OF BAYS BREWING CO.
BREWERY: Lake of Bays Brewing Co. Developed by Brewer Mark Campbell, this malt-forward pumpkin ale comes in at 6% and 10IBUs. Mash’n Pumpkins is the second of our Wild North Series of one-off brews, developed especially for craft beer pubs and eateries looking for a steady supply of new, interesting beers. Mash’n Pumpkins will be available for a limited time on tap at selected licensees. Appearance | Hazy, deep-orange with off-white head. Smell | Spices, cloves, nutmeg, and hint of cinnamon. Taste | Spices, nutmeg, toasted malts, and faint bitterness. Aftertaste | Dry, biscuit, cinnamon, with notes of bitterness. Overall | Mash’n Pumpkin Ale is the second in the Wild North Series from Lake of Bays Brewing Co. Wild North Series is a new series that will develop new, interesting one-offs made for Craft Beer Pubs. This instalment is a medium-bodied brew that’s smooth with flavours of cinnamon, pumpkin, and toasted malts. It’s like a Pumpkin Amber Ale. If you like pumpkin ales, check this one out while you can! My only regret is that it’s just a 355ml sample and that was gone quickly! Limited Edition | On Tap at Selected Licensees. Note: Lake of Bays Brewing Co. supplied Mash’n Pumpkin Ale for The Brew Head to review. Thanks T-Bird!